One of our goals at A Plus Dental is for all of our patients to keep as many teeth as possible for their entire lifetime. As dental health awareness and dental technology have advanced over the years, we are happy to say that we now see fewer people who are missing all their teeth (dentists call missing all your teeth “edentulism”). Still, people do lose a tooth, or a few, and not think much of it. Many of these causes of tooth loss can be prevented, but in case they aren’t, it is critical to replace any teeth that might go missing. Your jawbones are similar to muscles in that if you don’t stimulate them, they atrophy. Teeth are essential to this stimulation as the force of biting and chewing travels down the root of your teeth into the bone, helping to keep the bone dense. When you lose even one tooth, the bone beneath the tooth begins to weaken, and its density begins to decrease. If you are missing multiple teeth in the same area, or all the teeth on your upper or lower jaw, this degradation becomes more pronounced and can lead to the face having a hollowed-out and shortened appearance that makes you look much older. Patients who lose teeth also suffer adverse effects on their health and quality of life. Missing teeth can make it difficult to eat foods that might be difficult to chew, such as nuts, vegetables and meats. Consequently, many patients with missing teeth suffer nutritional deficits. Missing teeth also have social consequences, as others may judge those who are missing teeth and those patients who are self-conscious about their appearance or eating ability may avoid social activities. If you are missing teeth, it’s critical that you explore your options for tooth replacement and get that replacement as quickly as possible. The longer you wait, the worse the problems with bone loss and other consequences will be. By far the most effective solution to tooth loss is a tooth implant. Dental Implants work like natural teeth. Implants restorer full chewing power and allow regular brushing and flossing. Dental Implants can last a lifetime. Implants are made from titanium, and they integrate with the jawbone. Dental Implants prevent bone loss. If an implant is not placed within the first year of losing a tooth, that bone area loses 25% of its volume, and bone loss continues as time goes by. Dental Implants support adjacent teeth. Missing teeth can lead adjacent teeth to shift into the gap. This can affect your bite, ability to chew, and appearance. Dental Implants help fight gum disease. The area left by a missing tooth can become a trap for food and bacteria, leading to gum disease. Dental Implants can prevent facial sagging and premature aging. By preventing bone degradation and filling the gaps in your smile, dental implants can help you avoid excess wrinkles around the mouth, thinning lips, and sagging flesh. If implants are not possible, other options include bridges and dentures. A bridge is a fixed solution that stays cemented in the mouth and does not come out. Sometimes the teeth on each side the gap need a crown or; filling, and the gap and tooth can be addressed at the same time. Bridges can replace one or two missing teeth, and sometimes more. Dentures are removable appliances that can be partial or full; full dentures replace all teeth while partial dentures are used when natural teeth remain. Dentures are often the most affordable choice. Non-invasive.Getting dentures is a painless, non-surgical, and non-invasive process. Modifying dentures is relatively simple. Whichever answer is right for you, if you are missing a tooth or teeth, give us a call at A Plus Dental, and we can help you find the proper treatment! 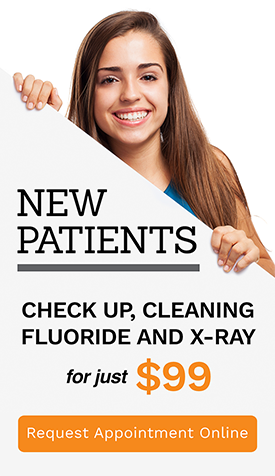 When you choose A Plus Dental, you take the next step towards a beautiful, healthy smile with teeth that feel great in your mouth, even if you may have lost some!! 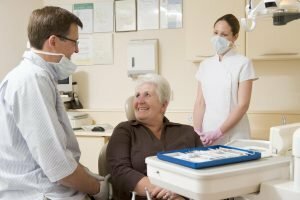 Dental Implant Procedure: How is it done? Campbelltown Dentist Tips: How Much Sugar is in Your Drinks?